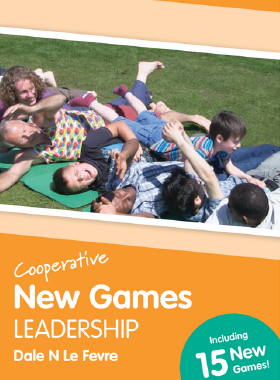 For the first time, Dale N. Le Fevre presents a visual leadership guide to accompany the New Games he offers. While he has always offered written guides of the qualities needed to lead the games in his DVDs and books, this time these are not only discussed but demonstrated graphically to maximize the most effective way to lead. Naturally, many of these leadership techniques can be applied to other situations. 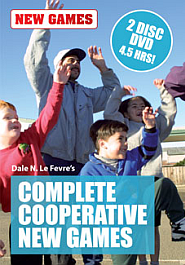 A two-disk DVD presenting the complete cooperative games of Dale Le Fevre. Included is the New Soccer video and an interview of Dale done by Parent TV, both on DVD for the first time. There are enough games here (123!) to keep your program going the whole year. 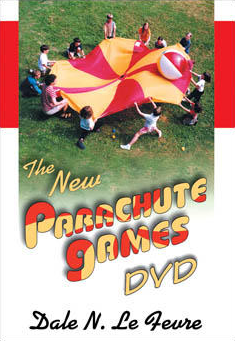 The New Parachute Games DVD presents 20 games that are fun and include everyone. Besides that, there are all sorts of skills that are learned or practiced by doing the games: social, developmental, and learning. 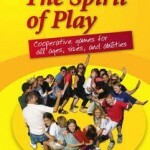 New Games and cooperative play activities for all ages, sizes, abilities, and both genders. 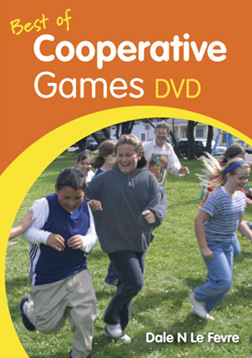 The Best of Cooperative Games DVD features inventive activities that focus on fun group games for specific learning skills like Math and English, and developmental skills like throwing, catching, and running. 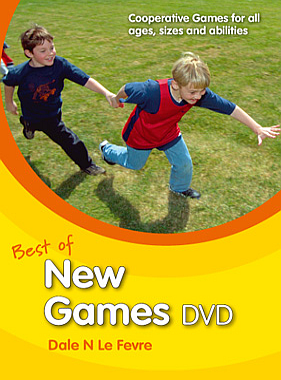 The Best of New Games DVD is an extensive presentation of New Games, with almost 2 hours of video. Dale N. Le Fevre, one of the founders of New Games, explains, demonstrates, and plays the games with groups. 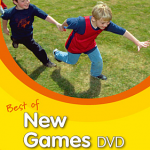 There is enough material here for you to successfully start an ongoing New Games program. Had a great day learning New Games - it was informative, fun, and sparked off some great new ideas. Thank you very much!